Anyways, I am here today to share the new sketch that went up at Creative Scrappers today!! Such a fun one! I loved all the square blocks, and knew it was perfect for scrapping the photos from my middle daughter's first haircut! 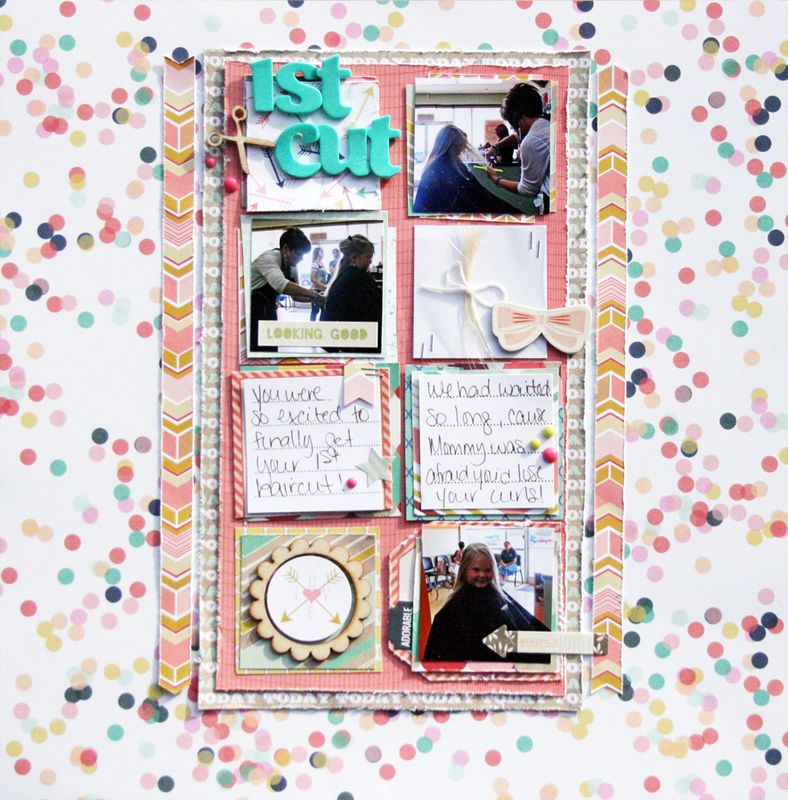 I used a mix of Alison Kreft Recorded and Fancy Pants Happy Go Lucky on this layout...the colors worked great together! Amanda, you did a fabulous job with this sketch! Love your choice of papers for this as well ;-) happy holidays! Love the way you used this collection Amanda, wonderful job.